This XNA puzzle game challenges players to outmaneuver opponents by strategically placing tiles on the board. Just another puzzle game? WRO-ONG! 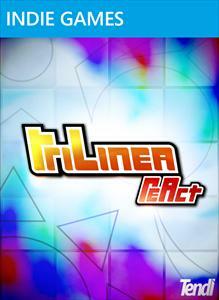 TriLinea ReAct is an new type of game that could easily be described as a Fighting Puzzle game. Real time fast-paced battles on a shared board that will reinvent the old and good match-3 formula. Build your strategies, cast spells, summon specials and prove no one will ever be able to overcome your skills. So now, stop reading and give it a try!